Catherines is the only plus-size store you'll ever need. Career, active, denim, social occasion, intimates, accessories and more...all designed with you in mind. What makes Catherines a plus-size store like no other? The custom-fit by our technical design team flatters the plus-size figure. We offer more fashion for less. 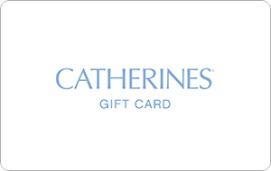 Shop Catherines at www.catherines.com or call 1.888.273.3447 for store locations.